As you’re planning your holiday sewing, whether for girls or for boys (or for yourself!) I thought you might like a few more fabric suggestions to help you along. 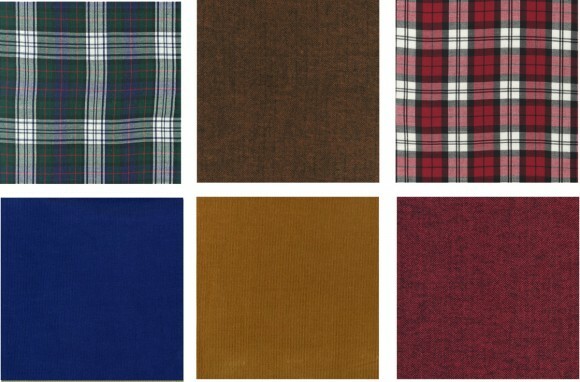 We already showed you a few of the fabrics in this first group in our post for boys the other day. The guys have so many great options for the holidays! I love all the texture that’s available for them. 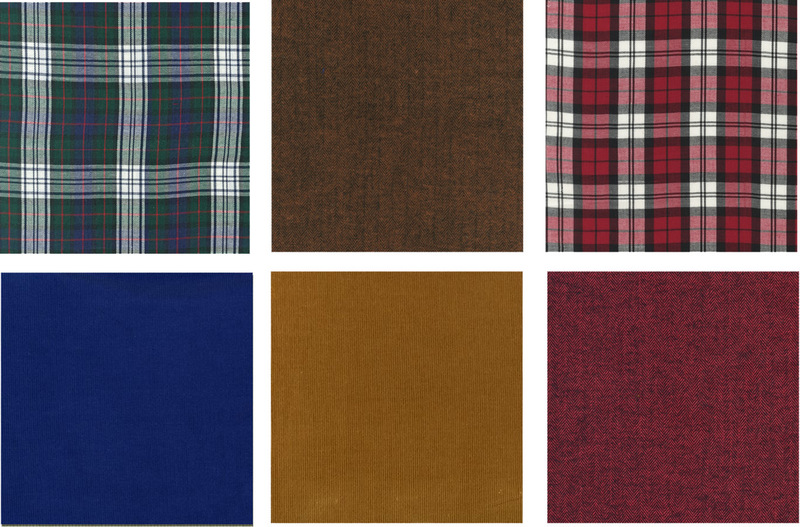 You can choose from cotton tartans and flannels for shirts, and corduroy (more here) and velveteen for trousers and vests. I love the herringbone flannel for its texture and because it works well with the corduroy and the plaid! Isn’t the velveteen pretty? Robert Kaufman makes these great traditional colors, and it could be great for both boys and girls. 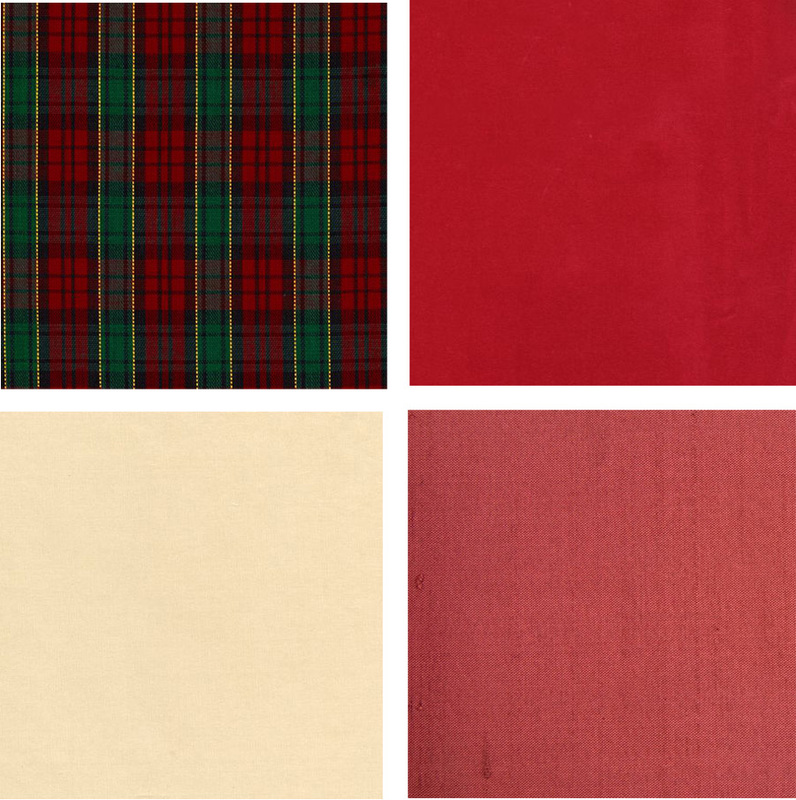 You could use velveteen for Art Museum Trousers or Vest for the boys and for a dress or even the Sunday Brunch Jacket for the girls. For the girls, there are so many fun options. I love this traditional tartan for the Fairy Tale Dress. And I just love Radiance, which is a gorgeous cotton silk that’s easy to care for and comes in a huge range of colors. And of course there’s always silk dupioni or shantung, which makes such a pretty holiday dress. Want to get fancy? Mood has a bunch of great options. 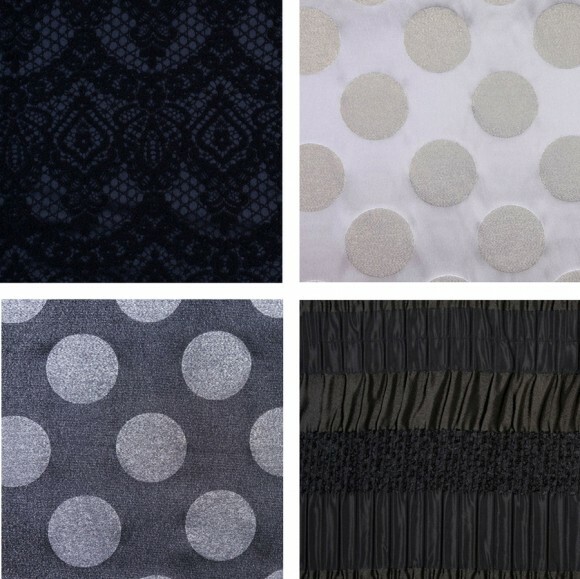 This polka dot metallic jacquard in black or white would be amazing for so many of our patterns: Library Dress, Fairy Tale Dress, maybe the Music Box Jumper, and certainly the School Photo Dress. The lace jacquard would make a great School Photo Dress or Bubble Dress. And that shirred jacquard would make a really cute Book Report Dress if you remove the horizontal seam for a continuous front and back. 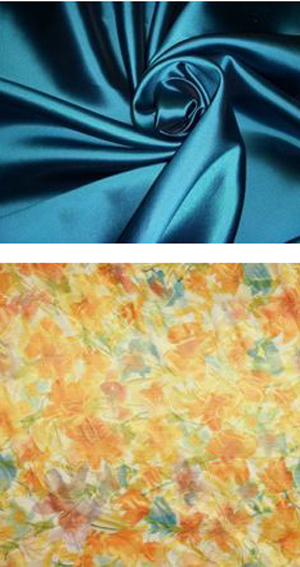 And by the way, these fabrics would make equally gorgeous dresses for you, too! Wouldn’t the lace jacquard make a great Weekend Getaway Dress? For Christmas dress in less traditional colors, what about a Fairy Tale Dress using this pretty watercolor floral for the skirt paired with a smokey blue or rust silk bodice. Anna Sui always has the craziest fabrics, and I can’t help but love this ruffled option. It reminds me of a candy cane and would make a fun skirt for a Bubble Dress. And of course I still love this plaid silk taffeta, which I’ve used to make the Jump Rope Dress as well as a 2+2 Skirt for S. Paired with a classic white Music Class Blouse and a sweet cardigan, it’s understated and gorgeous. S is still wearing hers, two or three years after I made it for her. Do any of these fabrics grab you? I hope you’re inspired to sew your own holiday creations! And be sure to show us! Wow! Tons of cool stuff.